Customer Satisfaction equals Loyalty…. Loyalty equals Customer Retention. Brooker Dealer Solutions offer programs that focus on both CSI and Retention so you earn your customers’ loyalty. Theft deterrents with a difference. From a company you can trust, serving Canadian Motorists since 1948. DAA has refined its expertise in the Roadside Assistance industry by serving the Canadian market for over 60 years. Our head office team based in London, Ontario support both our individual members and our relationships with our many corporate partners; all supported with the human touch. Our customer service professionals are available by phone 24 hours a day, every day of the year, to help you in your time of need. 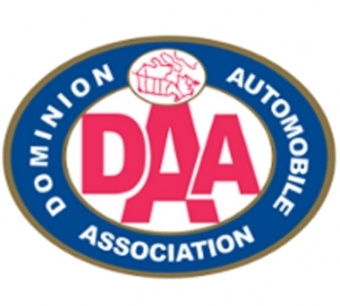 In 2007, DAA merged with one of the largest auto clubs in the United States, Drive America. Together the two companies became Driven Solutions providing a seamless solution for members traveling by car throughout Canada and the continental United States. Most of the time we are still known as DAA. From a company you can trust, we are backed by a network of more than 8,000 towing professionals from across North America as well as world-class insurance and travel assistance providers. DAA is a proud supporter of MADD Canada (Mothers Against Drunk Driving). Theft protections such as etching or stickers, have now been in the market for many years. We have 2 levels of finance reward coverage available to help retain those unfortunate enough to have their vehicle stolen, giving them a reason to come back and buy from you again. We were getting feedback from our dealerships that they were hearing that consumers were not concerned with vehicles being stolen as much as in the past. We listened and launched a program that has a monetary retention tool but, also gives your purchasers a tangible value for up to 5 years of vehicle ownership. We know how hard you work to get your customers, and are committed to bringing you retention tools to help you keep them. Lindsey and Brooker Dealer Solutions has made a huge difference in ensuring we make the most of every opportunity. Every product, every time to every customer. People one-day not allowed to drive a car - really? We found the author's idea that people will one-day not be allowed to drive very interesting. What are your thoughts. Word tracks, once a standard in the F&I industry, may be falling by the wayside, and for good reason, according to a recent survey and F&I experts. Find out how we can give you 100% F&I performance.